When the ‘verifiedbysecuredltd’ notification appears, don’t swipe it away just yet! it’s easier to turn it off if the pop up is still visible. 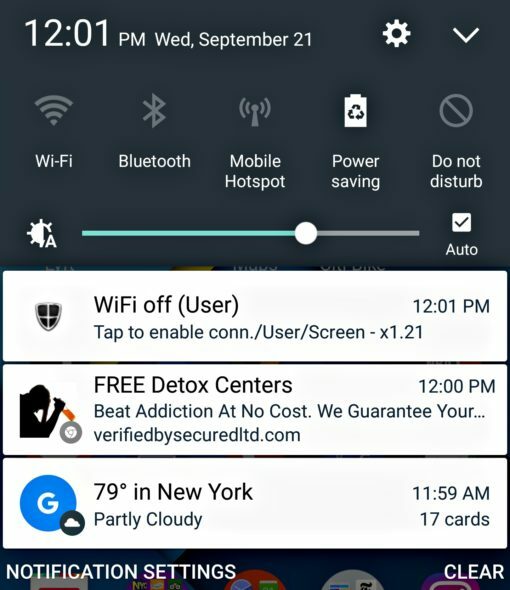 When you see the notification pop up, long press the notification (hold your finder on the notification). Click on “More Settings” at the bottom. 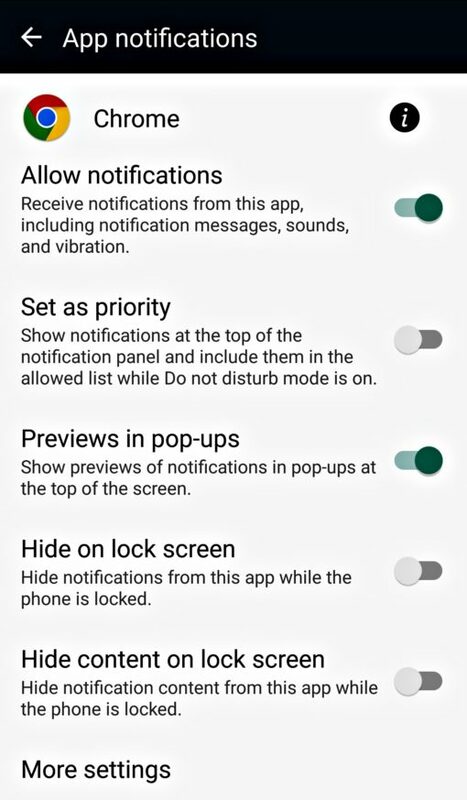 Which will take you to this page that lists the notifications that are “allowed”. Now you’re where you need to be at. 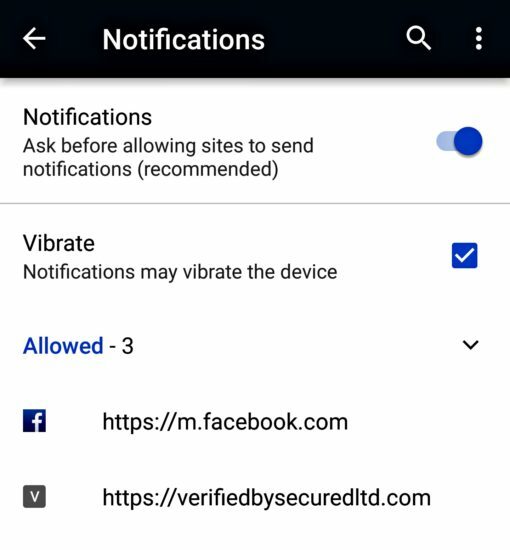 Press on “CLEAR & RESET” this will block future notifications from https://verifiedbysecuredltd.com. You can double check by opening Chrome > Settings > Site Settings > Notifications. Looking at some of the issues from online, Verifiedbysecuredltd started appearing around June 2016. It seems this particular notification is being planted by Bit Torrent sites and downloading media from torrent aggregation websites. 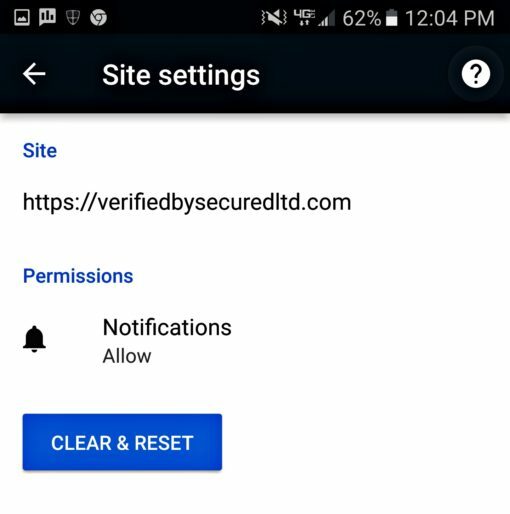 If you’ve used one of these sites in the recent past, right before these Verifiedbysecuredltd notifications started popping up, that’s very likely the reason. The good news it’s quite easy to resolve.